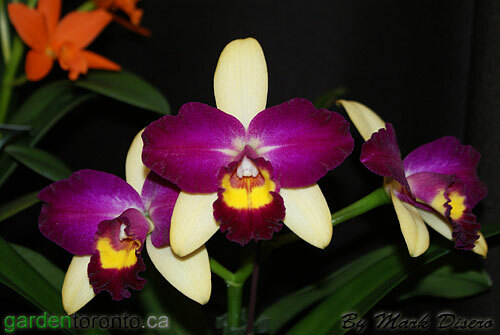 The Southern Ontario Orchid Society holds their annual show in February on Valentine's weekend at the Toronto Botanical Garden. In the past it has attracted exhibitors and vendors from as far away as Florida, California and Hawaii. This was primarily due to the fact that the society has an official American Orchid Society Judging Centre. 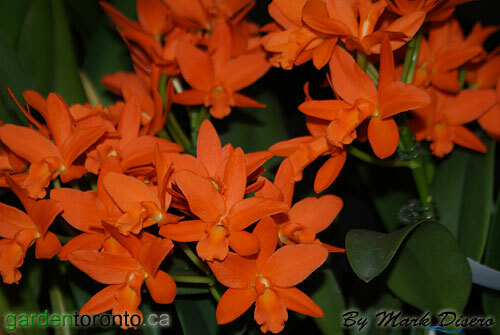 Just like a racehorse, the more wins an orchid gets, the more money people are willing to pay for it. 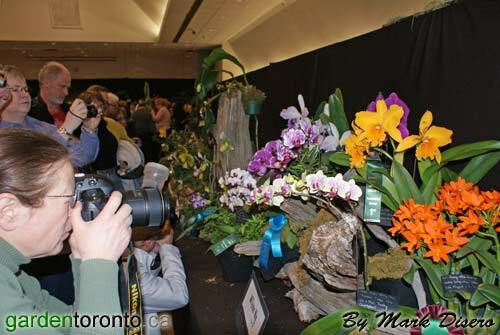 Of the “plant” societies in Toronto, (and I'm not talking about horticultural societies that cover all aspects of gardening in a very broad sense), the Orchid Society is probably the Gold Standard that other groups strive to be like. Its membership is large, the executive is extremely well organized, and the show has an international reputation. 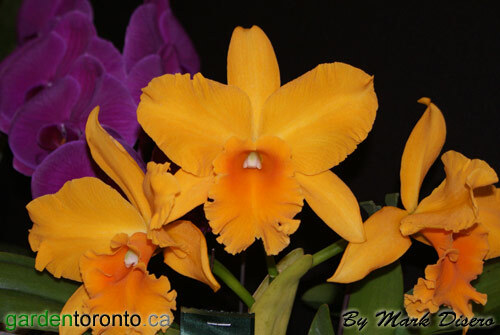 I joined SOOS in 1989 when it was one of the only places in Toronto to obtain orchids. Now that orchids are found everywhere it is still the best place to see a diversity of species and unusual crosses. 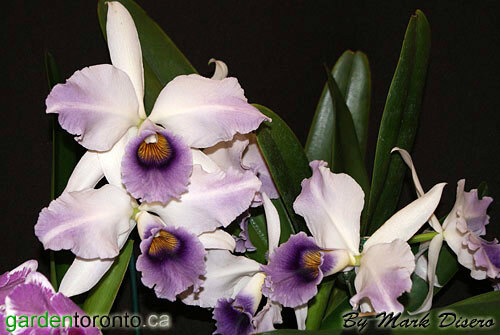 A key strategy to growing the Orchid Society membership is that they offer beginner classes. Once a novice has real success growing orchids, and it isn't just a happy accident, they are hooked for life. One really nice thing about buying an orchid in bloom in the middle of winter is that you know, chances are, that the orchid will always bloom around the same time of year. 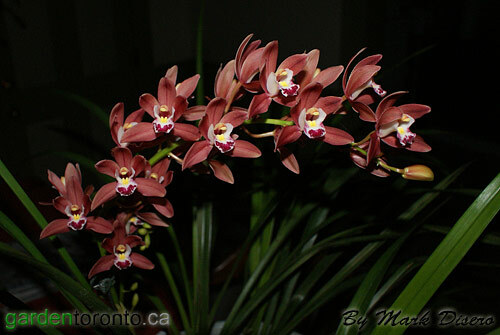 This red cymbidium, below ↓ , is one that I purchased several years ago at the show, and it is in flower again today. The Society has monthly meetings, which are extremely educational, but it is the vendors that many come to see. There seems to be an endless stream of new orchids to try. 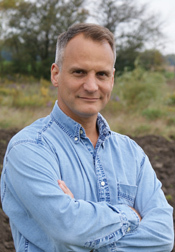 For more information visit soos.ca.